Website redesign for Ballard-bred TabbyCat Pickling Co. in Spring 2012. Produced in part with photographer and creativepreneur, Deborah Semer. Website redesign for Eastlake's Louisa's Cafe & Bakery in Winter 2011. Website includes a CMS (content management system) and online ordering for Seattle's newest box breakfast and lunch delivery service. Also designed accompanying marketing material. Co-produced by photographer and creativeprenuer, Deborah Semer. Website redesign for Washington State's largest single-day car show, the Greenwood Car Show. This is the second year we have produced this event website for the producing car club, the Greenwood Knights out of Seattle, WA. The car show is held each year on the last weekend of June and draws over 200,000 people to Greenwood Avenue. Website development for Tacoma-based attorney, Heather R. Straub. We created the logo, content, and website for this project. Deborah Semer provided photography. 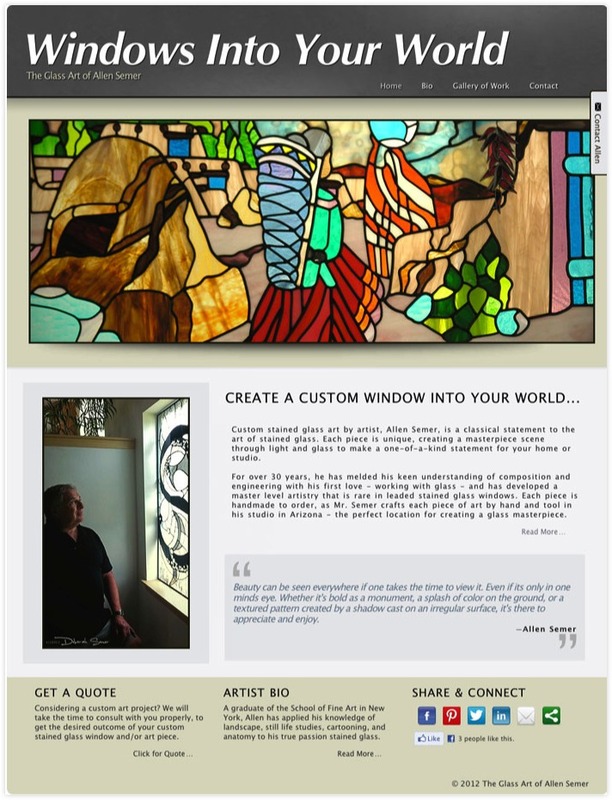 Website design for Arizona-based glass artist, Allen Semer. Co-produced by daughter, photographer, and creativeprenuer, Deborah Semer. Website design for Seattle's own all-star review, DRUMMERBOY. We created the design, content and marketing material to this project in Spring 2011. 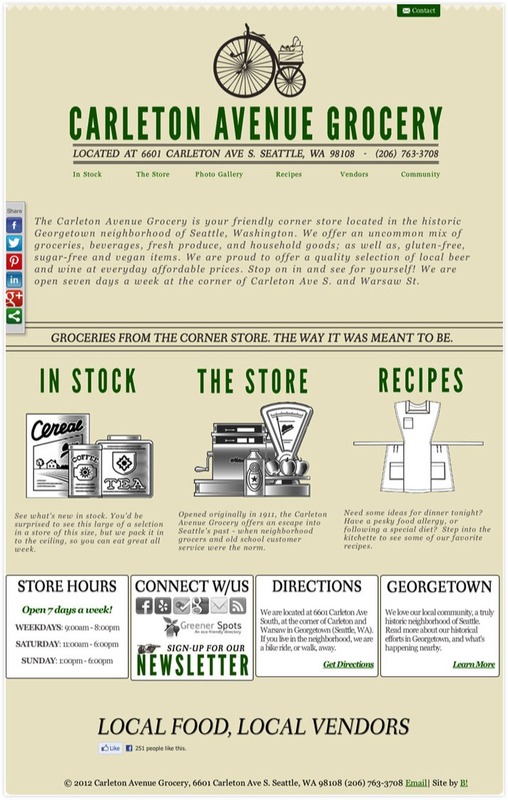 Website design for Georgetown-area market, Carleton Avenue Grocery. This website was built with a CMS (content management system) for the clients to update content frequently. We contributed the design and content to this project in Spring 2012. Website design for a multitalented artist and creativeprenuer, Deborah Semer. In one website lives 3-4 different worlds - and distinct websites - DJ Hooah! (Deborah's DJ persona), Deborah Semer Photography, Deborah Semer and Atmosphere Artist Management. You have to check this site out! 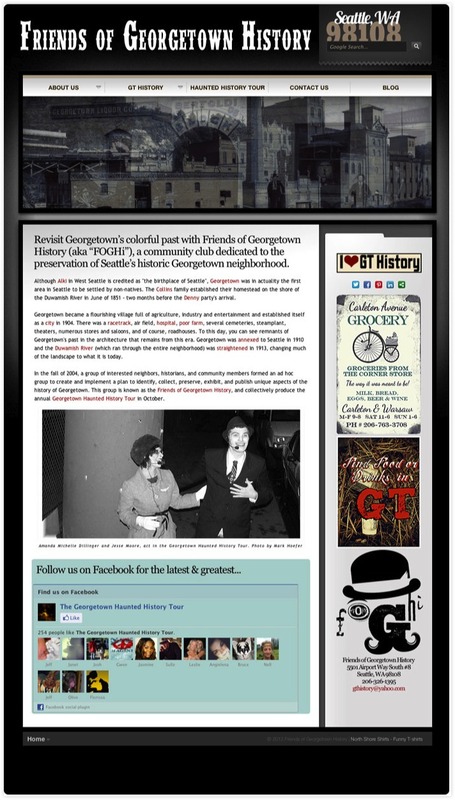 One of Brandi's volunteer activities is the Friends of Georgetown History group in Seattle (she also acts as a guide on the annual Georgetown Haunted History Tour). In 2010 and 2011, she put together a revamped website from existing content and archives - and added a WordPress blog as well. Plus she handlles the marketing and social media for the event.